CV/Resume: Please send your resume by post to the address listed above. Your resume must be in Japanese but it does not need to be hand-written. Experience required: A minimum of 1 year of English teaching experience in Japan is preferred. Japanese ability required: The AET MUST be able to communicate effectively in Japanese. Drivers license: The AET MUST have an international or Japanese driver’s license. Interview: Depending on where an applicant resides, an interview will be held either over the telephone or in person at the B.O.E. in Japanese and English. The Shintoku BOE is seeking an enthusiastic applicant to fill one of its two Assistant English Teacher (AET) positions. The town is looking for someone who can help the Japanese teachers with the new Elementary English education, JHS English, High school for special needs classes, and adult/children’s Eikaiwa. The successful applicant will help teach at 2 junior high schools, one high school, an adults and a children’s conversation class and help coordinate a yearly English/holiday party with the town’s other AET. Also, we would like you to become involved with the community by participating in local events or activities. Working hours per week: The AET will work 35 hours per week with class hours being variable according to the schools. Hours and days: 9:00am – 5:00pm , Monday – Friday Variable according to classes and events in the community. Vehicle: A car is provided with auto and accident insurance for both work and private use. Accommodation: A partially furnished 2LK apartment is provided at a cost of 13260 yen per month. Vacation and health insurance: The position includes paid public holidays and 20 days paid vacation per year. Health insurance / pension provided. Contract length: The contract is from August 1st until July 31st . One year renewable if both parties agree. 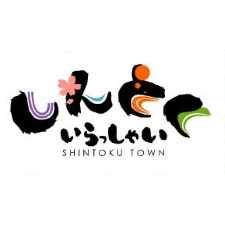 A small tourist town located in the middle of Hokkaido which attracts foreigners from various countries around the world for its skiiing, sightseeing, hiking, and food. There are two ski resorts within the township; one within five minutes driving time. It is located close to one of two Club Med resorts in Japan and also one of the stops for the Express train that connects Sapporo to Kushiro. Shintoku is one of the largest soba producing towns in Japan and hosts one of the largest soba (buckwheat) noodle festivals every year.